We are specilised in carnet clearance start from import and then again back to destionation. .
Shiwom Freight Solution Private Limited. We provide customs clearance services for all international shipment with customs clearance specialists worldwide. 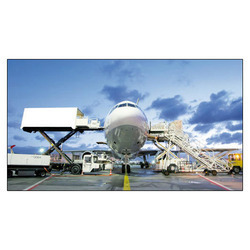 Local air cargo and courier clearance services. Netaji Subhash Chandra Bose International Airport is an airport located in Kolkata, West Bengal, India, serving the greater Kolkata metro area. The airport was originally known as Dum Dum Airport before being renamed in the honour of Subhas Chandra Bose. Regardless of age, size or weight, the performance of our fleet is constantly optimized to the highest standards globally and is comparable to the best in the world. Includes both domestic and international Air Freighting of all forms of industrial, commercial and consumer goods. As a custom broker we provide clearance of both import and export cargo at all our offices. We have a vast experience handling a varied range of commodities from general cargo to break bulk. We have pioneered the concept of containerization with a record turnaround of boxes.